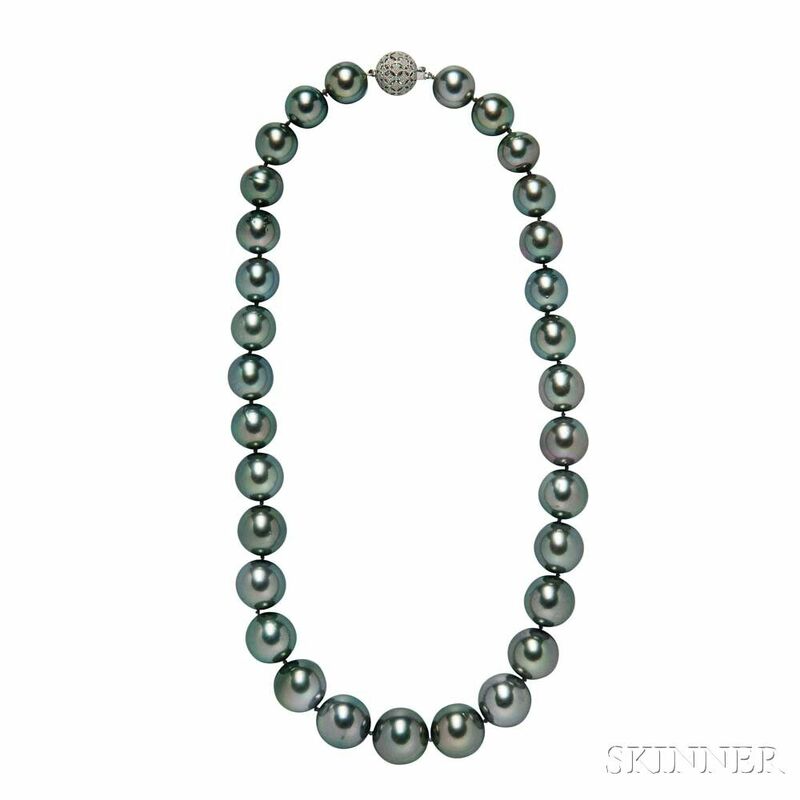 Tahitian Pearl Necklace, composed of thirty-one pearls graduating in size from approx. 12.00 to 16.00 mm, completed by a 14kt gold clasp, lg. 18 in.